Kerri Evans’ approach to caring for her three black labs is similar to that of coaching clients: lead with unflinching patience, train with consistency, build trust, respect individual passions and pet peeves, pay attention to commands, and stay calm when things get loud. She finds that friendship and collaboration make every task more achievable, and the art of listening is her secret to business success. Regardless of the day and the challenge, Kerri is at her best when she’s part of a strong team (or pack, as it may be). When it comes to both rescues and consulting, Kerri’s seen it all. She has more than two decades of experience leading people-centric change management initiatives in roles at c3 consulting, Kentucky Farm Bureau, and Electronic Data Systems. 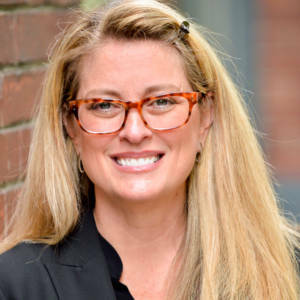 Kerri holds an MBA from Vanderbilt University’s Owen Graduate School of Management and a bachelor’s degree in finance from Michigan State University.